It is our belief that through quality care and supervision, coupled with compassion and integrity, we at A Doctor’s Touch can help each resident function at their highest level of independence to preserve their dignity and self-worth. We value every individual and ensure that each resident’s emotional, physical, social, recreational, and life goals are met, to promote well being and a high quality of life throughout the senior years. 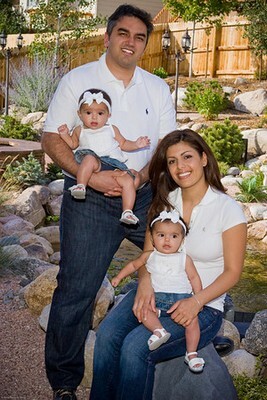 A Doctor’s Touch, LLC is owned and operated by the husband and wife team of Herald and Hoda Ostovar. Dr. Ostovar is a practicing Board Certified Emergency Medicine Physician. He utilizes both his medical skills and natural care instincts in providing the best care possible to the Doctor’s Touch residents. Mrs. Ostovar holds a Masters Degree in Business Administration and strives to be a pillar of support to residents and their families while providing appropriate management of the Doctor’s Touch home. Dr. and Mrs. Ostovar designed this home with their own parents in mind so that when one of them needed assisted living, this home would be their first choice. They are proud to own and operate this home with the philosophy of placing the residents first and ensuring that their quality of life is second to none. See our testimonials page for more.